KOMURO Koji was born in 1977. 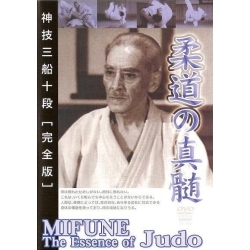 Fifth dan of JUDO and Shihan of Kodokan Dojo (Tokyo), he won fame in numerous competitions of Brazilian Jiu-Jitsu and Grappling. Specialist in Newaza (ground techniques) and Komlock, he had the opportunity to refine techniques he already mastered well and offers the public the result of his many years of experience as a competitor: the techniques are explained in detail along with possible variations, combinations, etc.